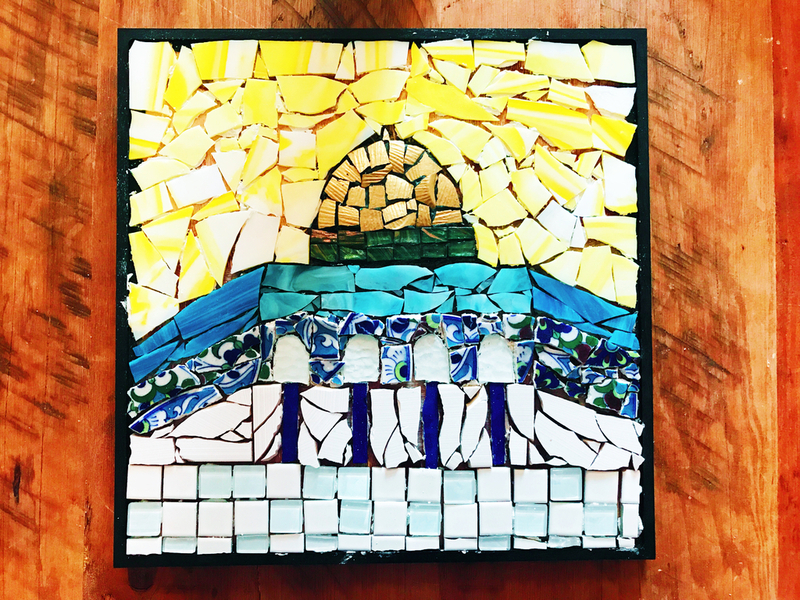 This is a mosque made by Mrs A which is waiting to be grouted. The contrast of the lemon yellow and blue is very striking and yet has a touch of elegance. The stream lines of the stained glasses, the curves of each pieces which have different thickness effectively made this work look 3 dimensional. Please be aware that it will normally take more than 1 day to complete a mosaic art. The adhesive should get dry before the grout is applied. If you are keen to finish in 1 day, you can take some grout home to do it your self or I can take over your grout work for £10 per work. You can then come to collect it afterwards.